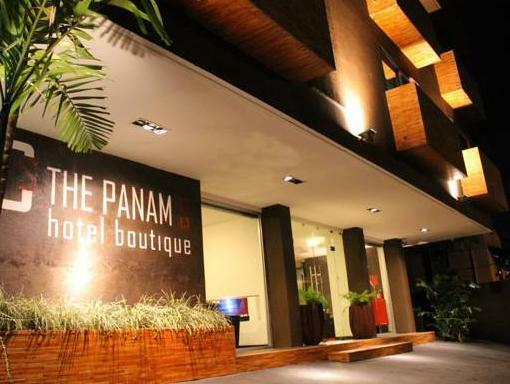 ﻿ Best Price on The Panams Hotel Boutique in Panama City + Reviews! This Panama City luxury hotel boasts spacious suites with a spa bath. It features free Wi-Fi and is within 1 km of the Pacific Ocean coast. All suites at The Panams Hotel Boutique have modern décor and are equipped with a 32-inch flat-screen TV. Each room includes a minibar and a comfortable seating area. The Hotel Panams is just 1.2 km from the Continental Casino and Marcos A. Gelabert International Airport is 2.8 km from the hotel. Upon check-in photo identification and credit card is required. All special requests are subject to availability upon check-in. Special requests cannot be guaranteed and may incur additional charges. Guests are required to show a photo identification and credit card upon check-in. Please note that all Special Requests are subject to availability and additional charges may apply. Please inform The Panams Hotel Boutique in advance of your expected arrival time. You can use the Special Requests box when booking, or contact the property directly with the contact details provided in your confirmation.